I have attached the recipe files in a .zip. The spreadsheet is useful for scaling the brine and so on. 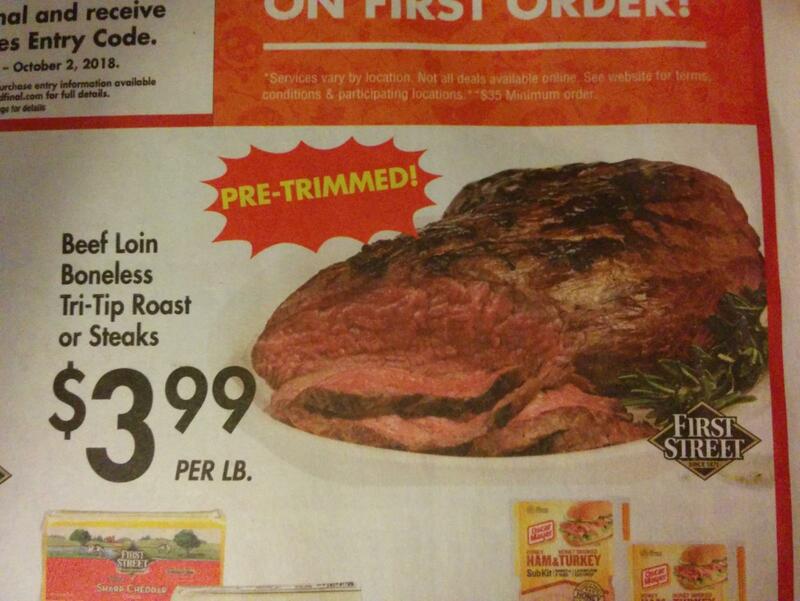 So I went to the store and got a tri-tip. Pastrami is usually made from a well marbled brisket. This cut is not available in small amounts, so I use something else. 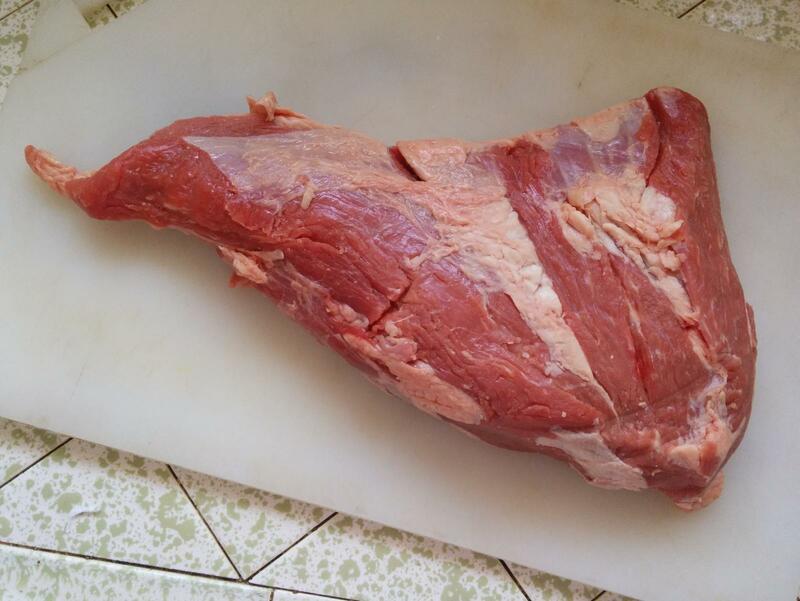 Tri-Tip isn't the best, it will be a bit dry, but not too bad. 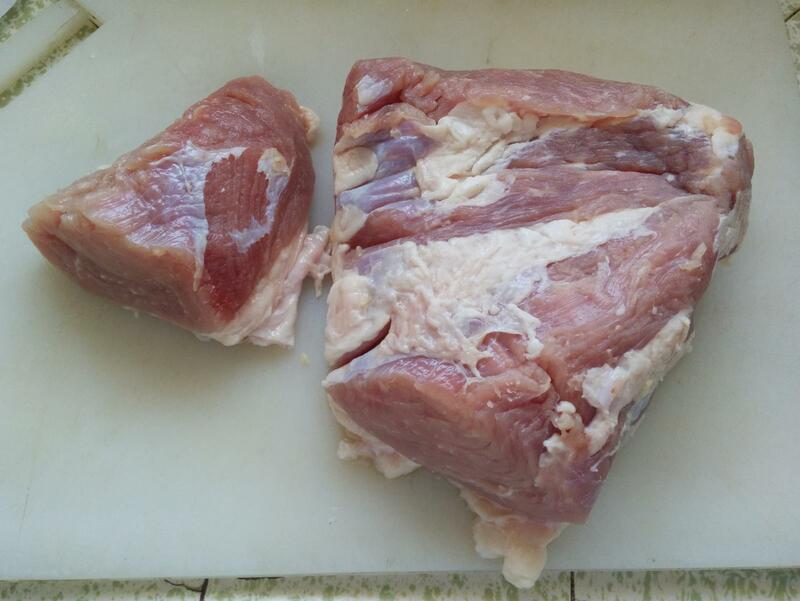 Use the cut untrimmed, you want as much fat on it as possible. 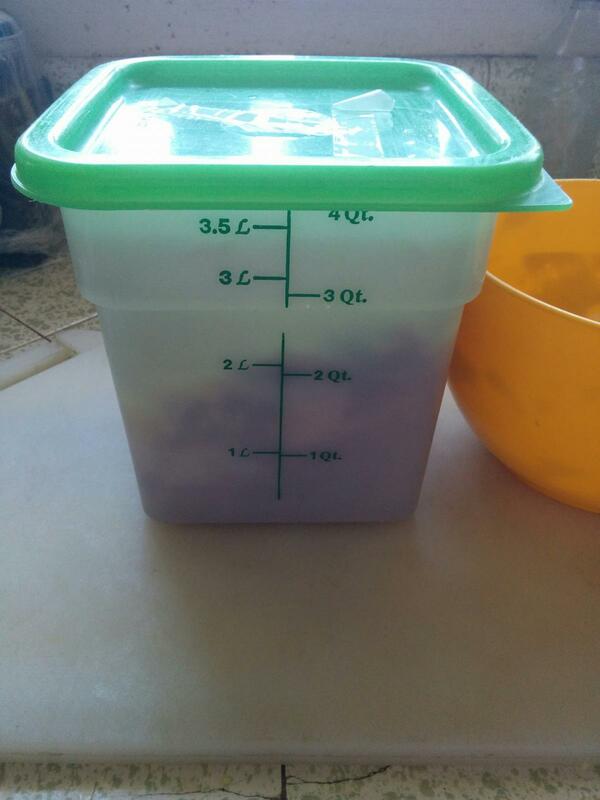 I have been brining with this container. A 4 liter food service thing. Now lets see if the meat fits. 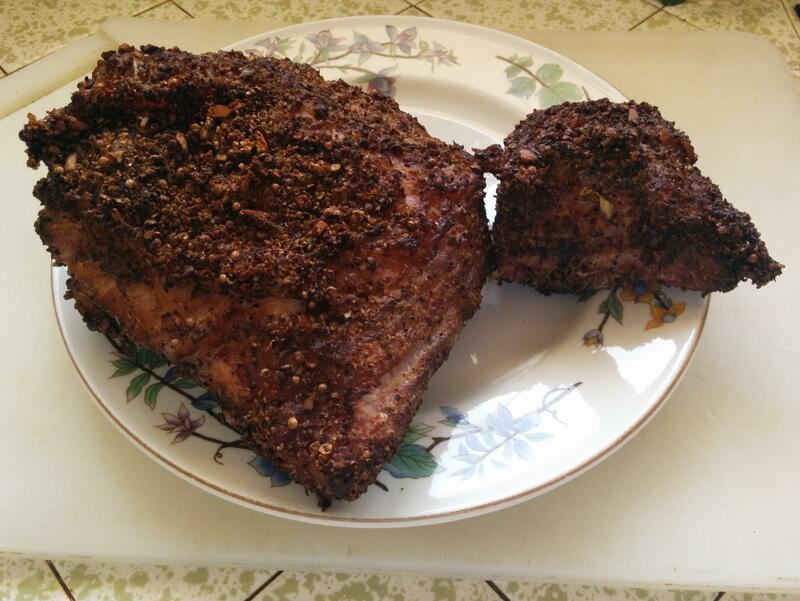 The fun part about making pastrami is that you can always make two pastrami's. 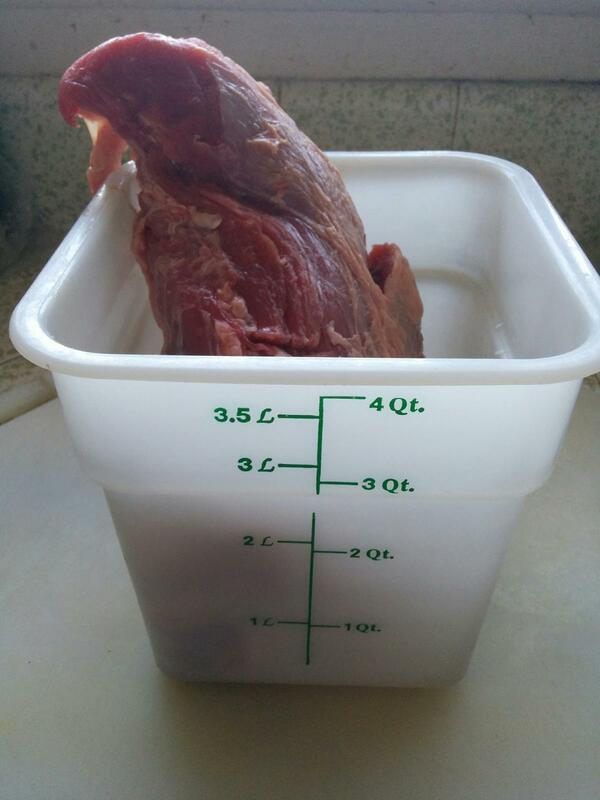 Cut the meat so that it will fit. Now for the fun part. Making the brine. You will need salt, prague powder #1, sugar, and garlic. I will be adding some vitamin C too. 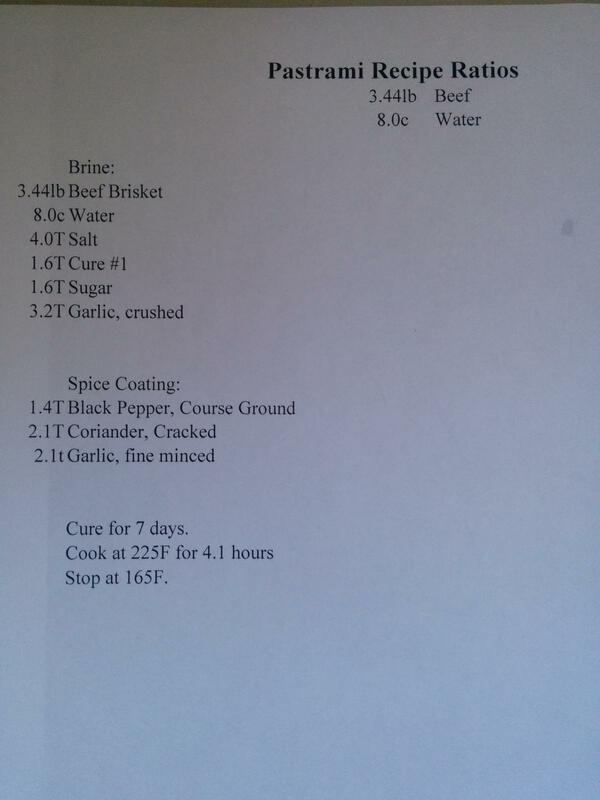 You need to get the volume of brine to make. I will borrow an old greek technique and do that by filling up the container with water. 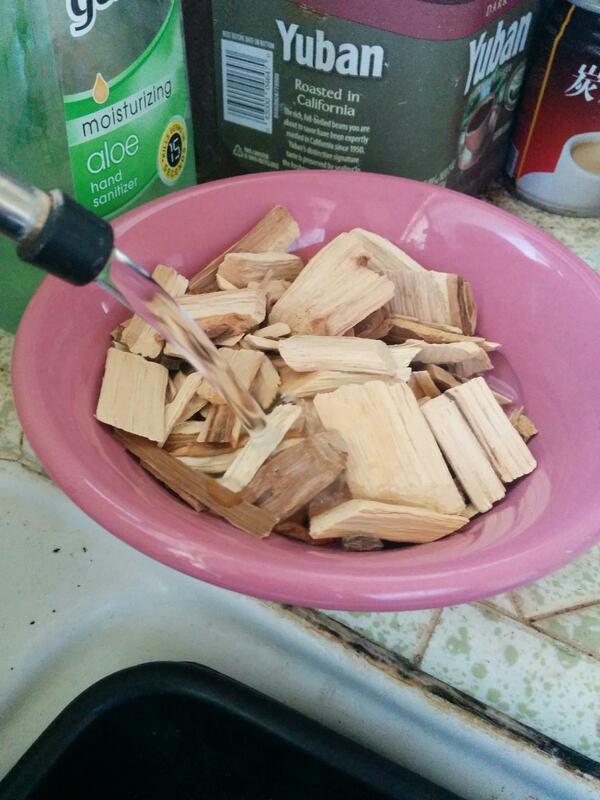 Now pour the water off into a bowl. 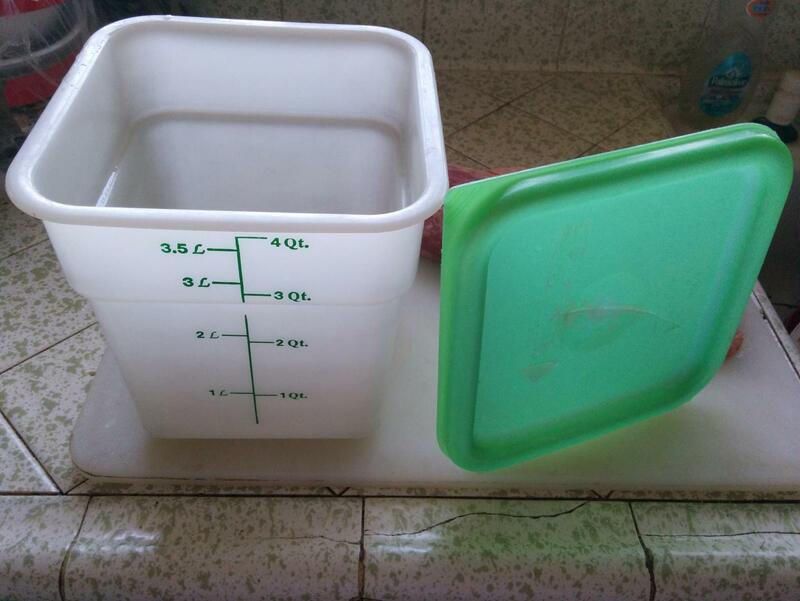 Now you can use a measuring cup to get the volume of the water. Throw the water out. Enter the value into the spreadsheet, in the cell below the meat weight. 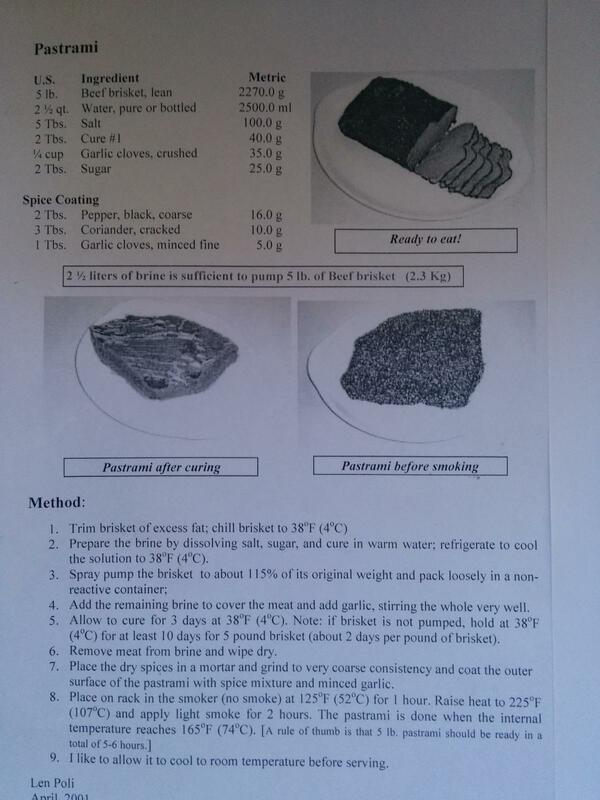 Print out a copy of the scaled recipe. 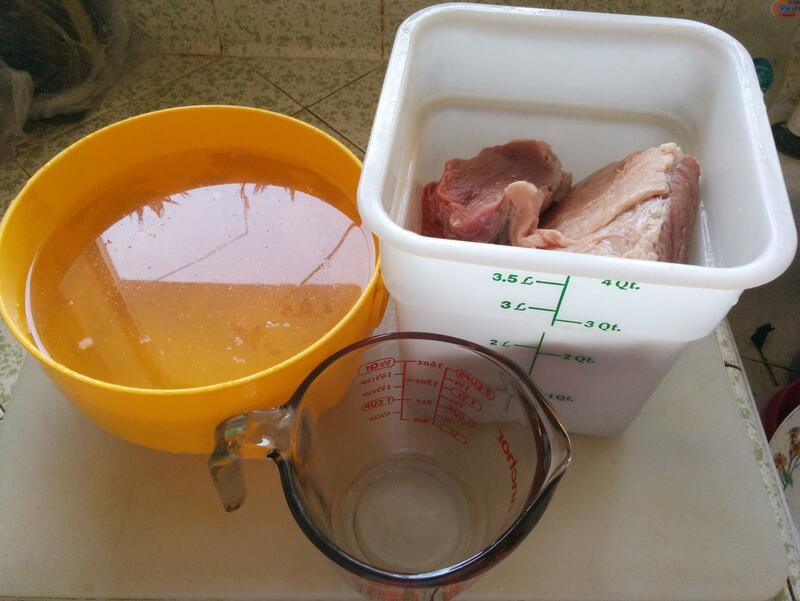 Now the brine can be made. 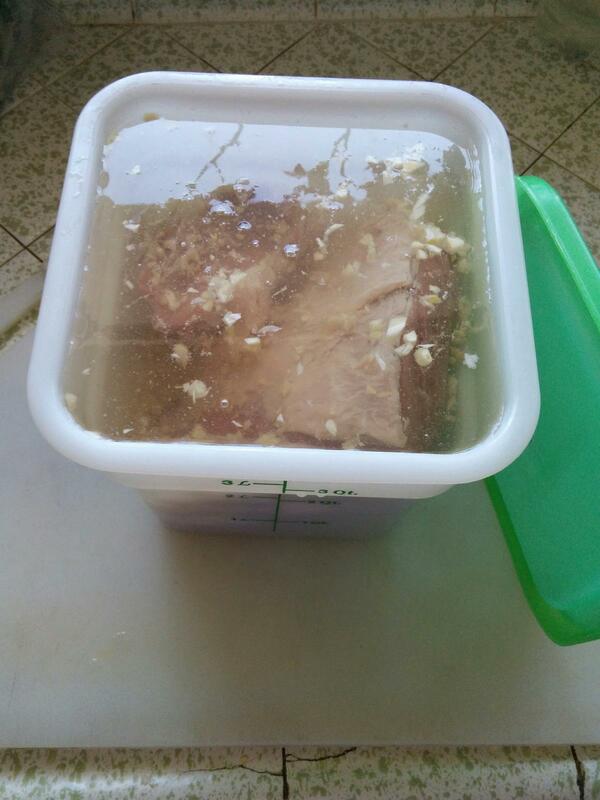 My container needed 8 cups of water to cover the meat. Cure #1 is Prague Powder #1, also called pink salt. It is 1 part Sodium Nitrite, 15 parts Sodium Chloride. So it is 6.25% nitrite in salt. A little red food color is added to make it look different from salt. I bought it in bulk at a restaurant supply store. The nitrite makes the meat turn red. Nitric Oxide binds with the myoglobin in the beef. I think is also keeps the contams from growing too. I read that the nitrosamines that are produced by the nitrite can be eliminated by adding ascorbic acid(vitamin C). The acid needs to be neutralized otherwise the nitrite will form nitrous acid and decompose into nitric oxide and you will smell something very similar to chlorine gas. So, add 8 cups of clean water to the bowl. I use RO water, demineralized water. Add the salt, cure, and sugar. Remove a little water into a cup. Add the ascorbic acid to the water, mix. Using a 1/4t spoon drop some baking soda into the water. It will start to fizz. Swirl the solution until it stops fizzing. The carbonate neutralizes the acidity and releases carbon dioxide. Continue to add baking soda until the fizzing stops. Carefully pour the solution into the brine. Excess soda will sink to the bottom of the cup. Sodium Erythorbate can also be used. It is the same thing, easier to use too. Just add it in. So now you have the brine put together. Now stir to dissolve the salts and sugar. 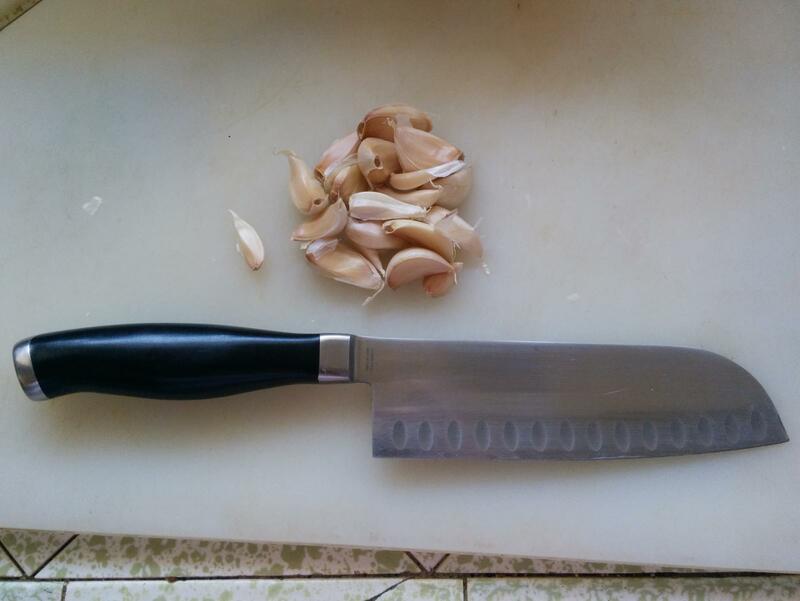 Time to work on your knife skills and chop the garlic. 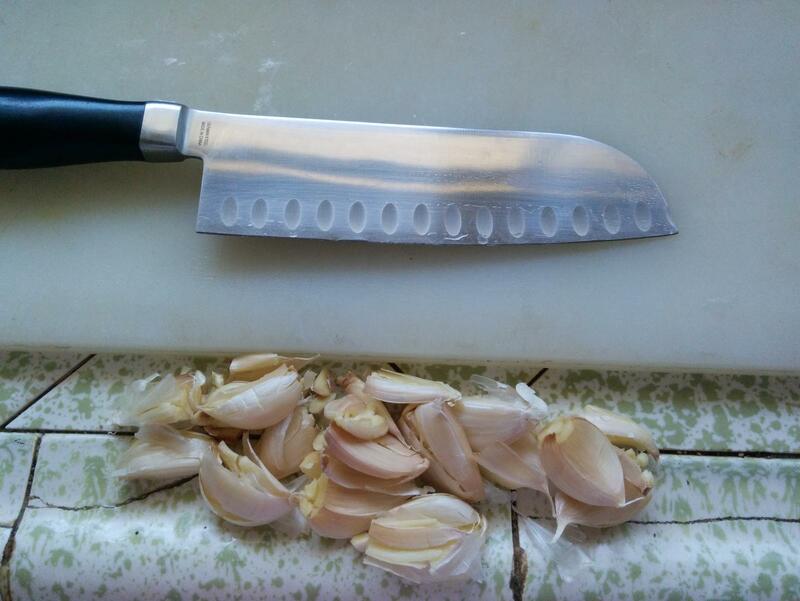 Personally, I think you cannot have too much garlic, so this is a minimum amount. 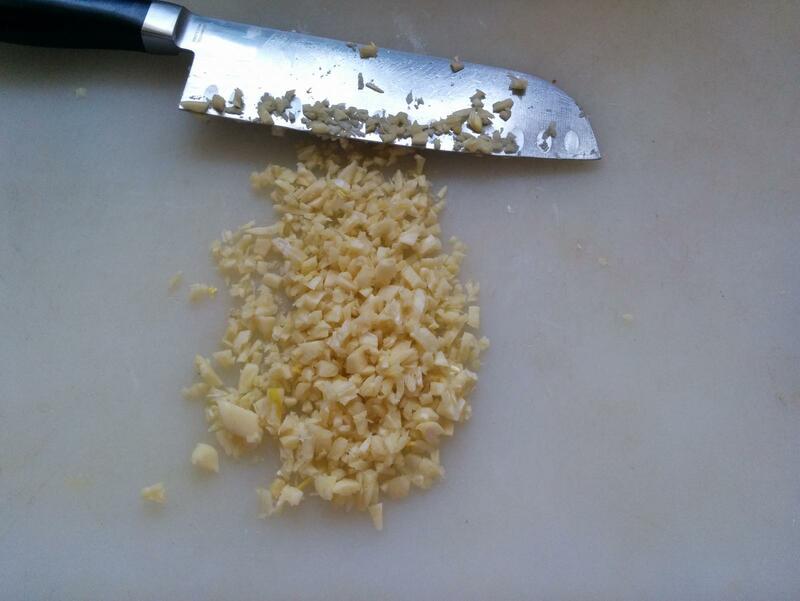 Break the garlic up into cloves. 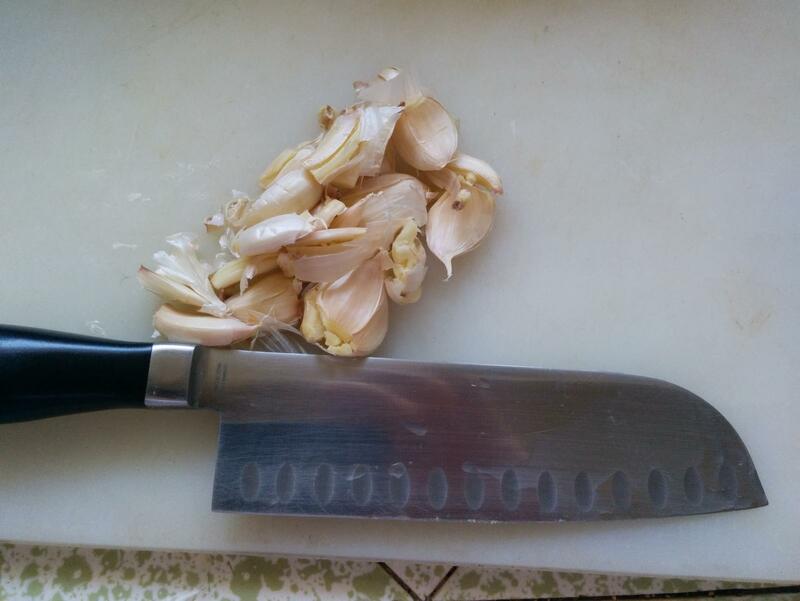 and crush the clove with the side of the knife. Scrape the mess off the cutting board, Clean the board and knife. 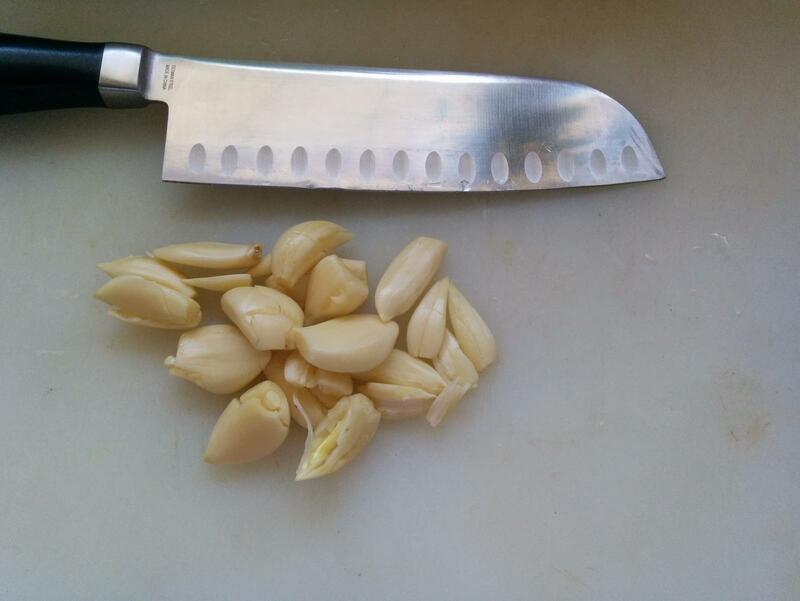 Now toss the chopped garlic into the brine container. 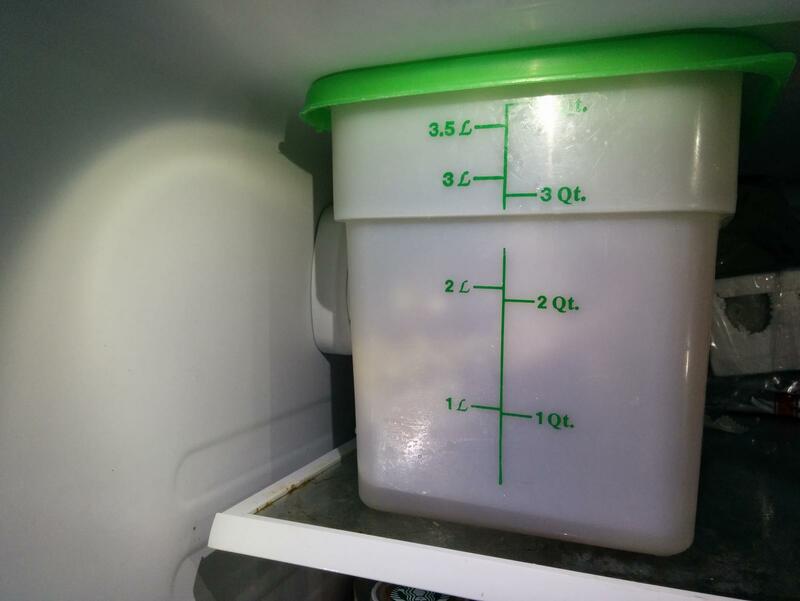 Put the brine into the refrigerator for 7 days. The brine will turn pink after a while. 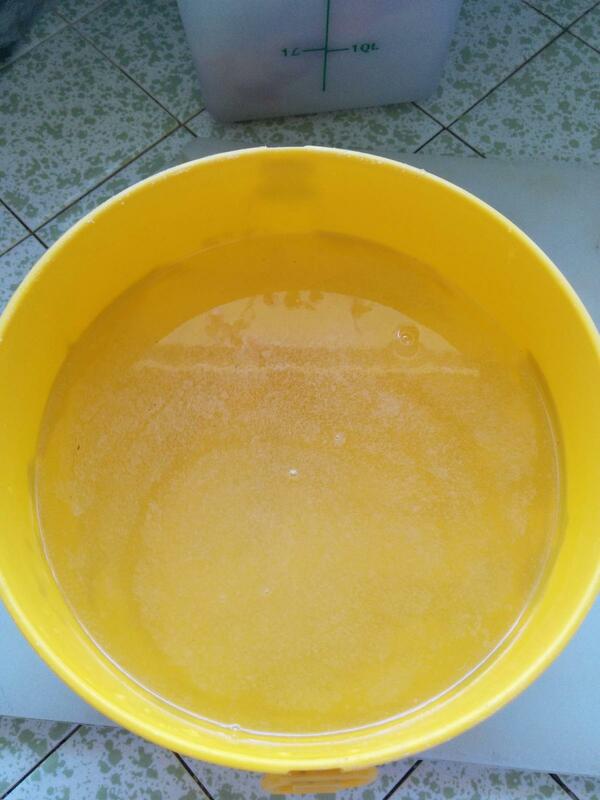 The brine will develop nice smell, nothing funky. In a week, I will finish the pastrami. I will smoke it rather than just slow cook it. Edited by Dipole, 23 September 2018 - 12:15 PM. Pulling up a chair! I love me some cured and smoked meats! What kind of smoker set up are you running, if you dont mind me asking? Edited by Juthro, 23 September 2018 - 01:22 PM. Thank to you Dipole I was inspired to make my first homemade Pastrami last week. It turned out a lil to salty so next time i will let it soak in the clean cold water for longer. I added some other item to mine though, Coriander, Dill,mustard seed and a ton of pepper corns. I will definitely be watching fro good deal on roasts to do some more. Oh yeah and Thanks to Juthro, I also cured some Canadian Bacon too. i was quite happy how that one turned out for be my first time. I would be delighted to answer all questions. 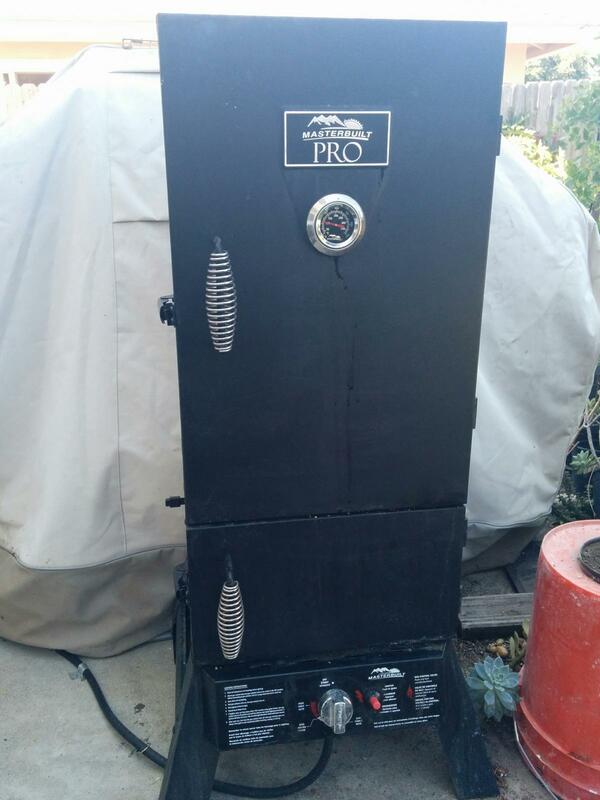 I have a "Masterbuilt" water smoker. I have it plumbed to natural gas. It has a spot to put wood chips. A bowl of water above that. 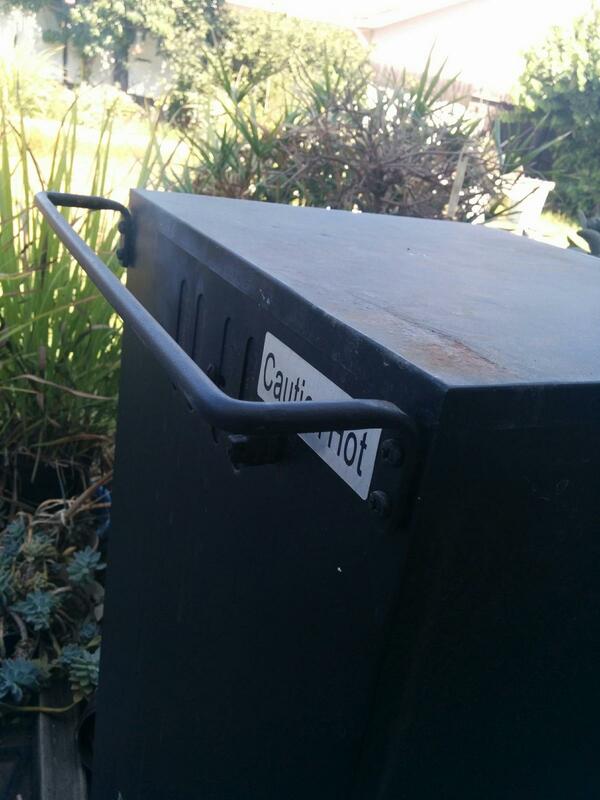 and rails to setup wire racks. hang and smoke hanks of sausages. The coated meat is then slow cooked or smoked. Smoked pastrami tastes and smells fantastic. by putting it in a sauce pan with a little water. Bringing to a boil while turning the pastrami over. This will reduce the salt and get the fat on the move. Pour off the water and proceed as you like. You loose some flavor so use a small amount of water. will help it keep better too. I will provide pics of the smoker affair. Edited by Dipole, 23 September 2018 - 03:00 PM. 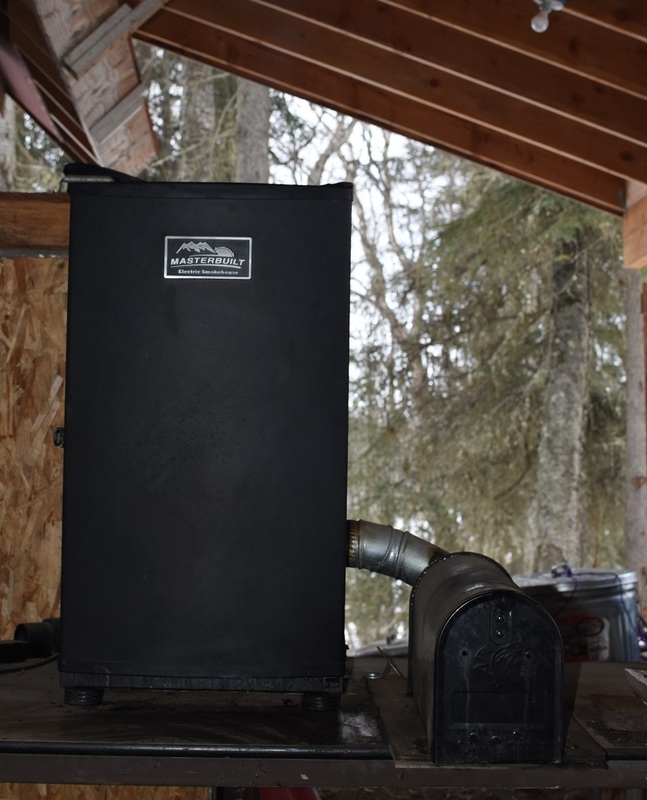 Im working with a Treager pellet smoker. If you dont mind (time and $$$ permitting) I would like to grab a roast (with the most marbleized and fatty i can find) and get it soaking in the brine. Give it a good low and slow smoke on Sunday. Come back and post some pics to add to your thread here. Ha maybe which i doubt i will pull this off in a week, i can grind up some of my rye grain that normally use for spawn to make some rye bread. I can prolly use some info from your bread recipe with some substitutes in ingredients and a few tweeks to make a loaf. I also had to pick all my cucumbers today in anticipation of a freeze tonight so I see some homemade pickles in the future too. A week has flown by, again. 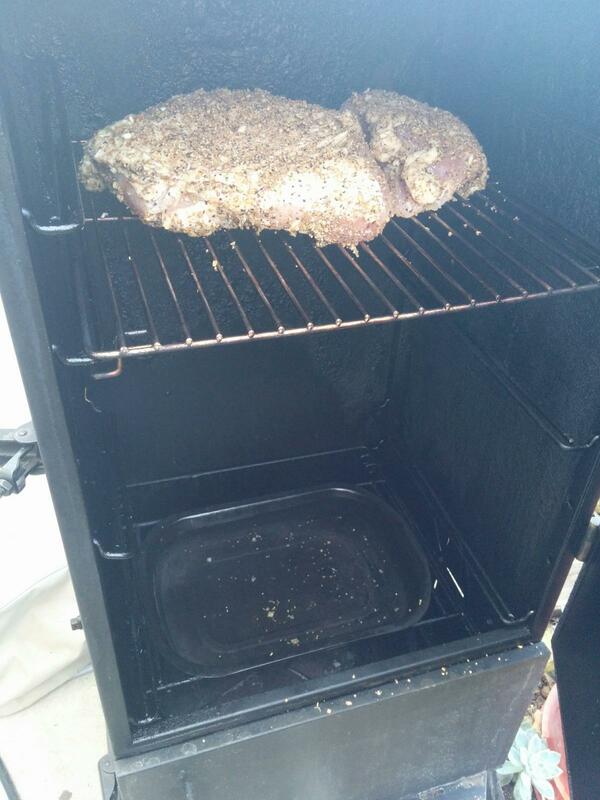 Time to smoke the pastrami! My smoker is one of these kind of water smokers. ...and the inside of the box. The wood chips are placed on the tray. 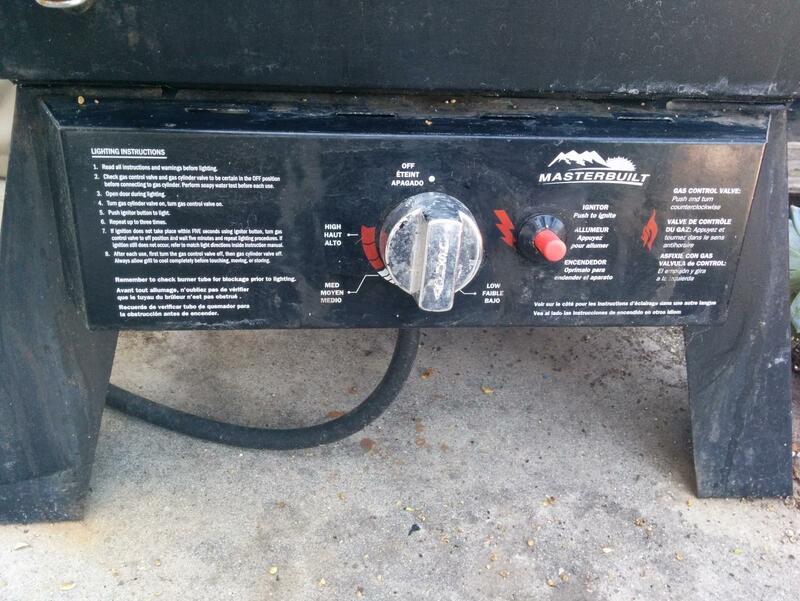 The burner box is underneath. 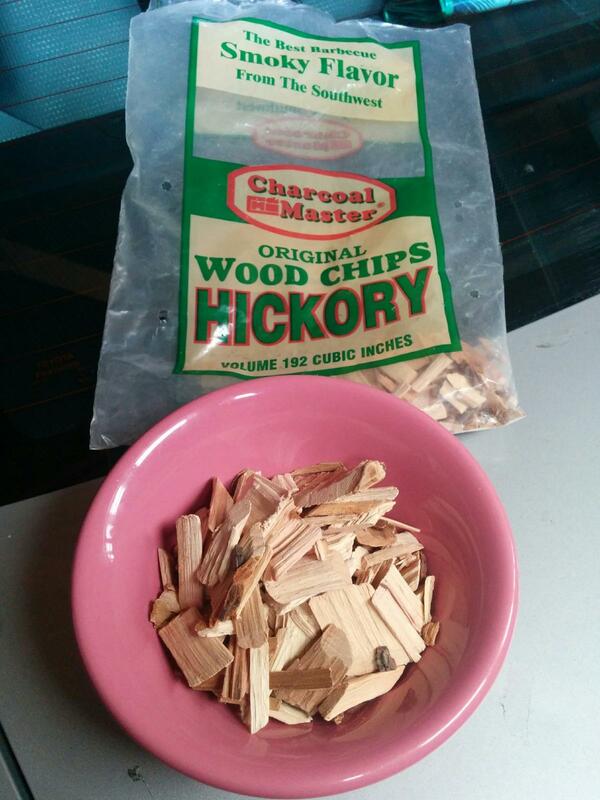 I will be smoking with hickory. 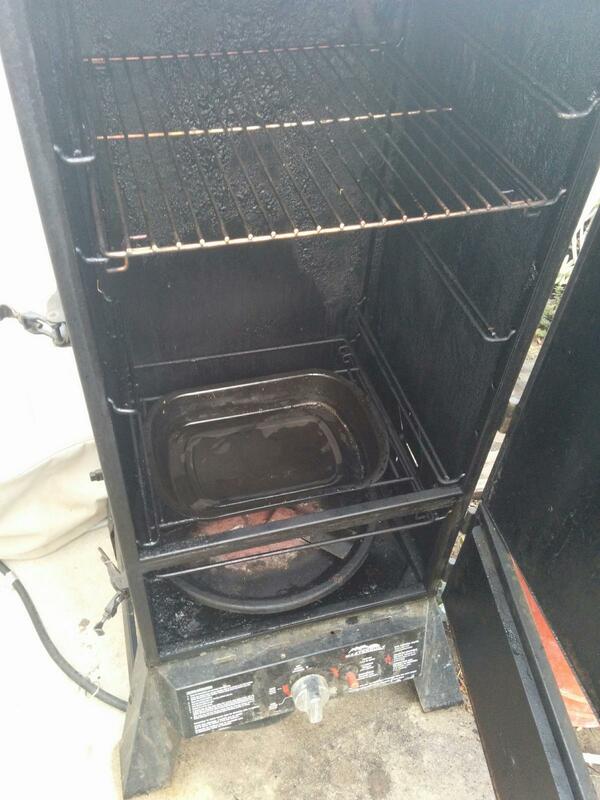 I start the smoker up at full heat to get her cleaned up. I will turn the heat down later. I like to moisten the chips to keep the fire down. 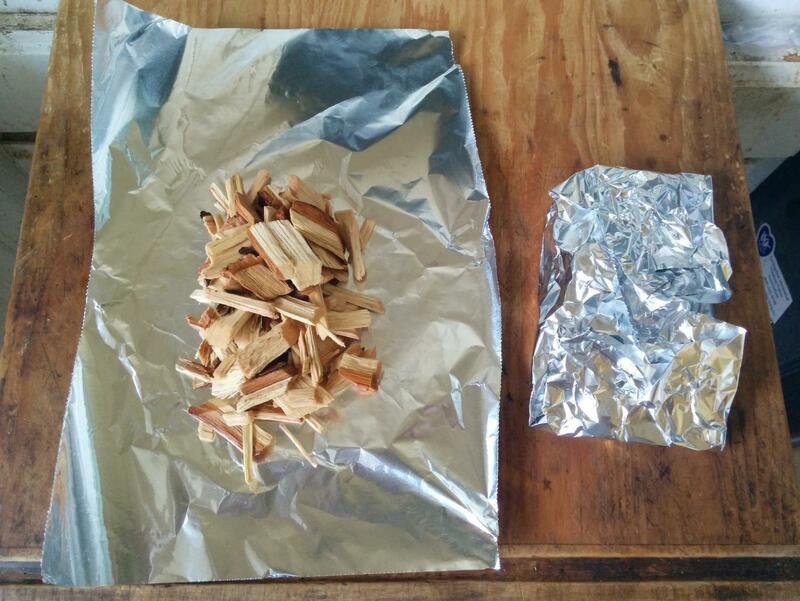 I wrap the chips in aluminum foil to keep the wood from igniting. Use more if you think it is not enough. Get the brine out of the refrigerator. 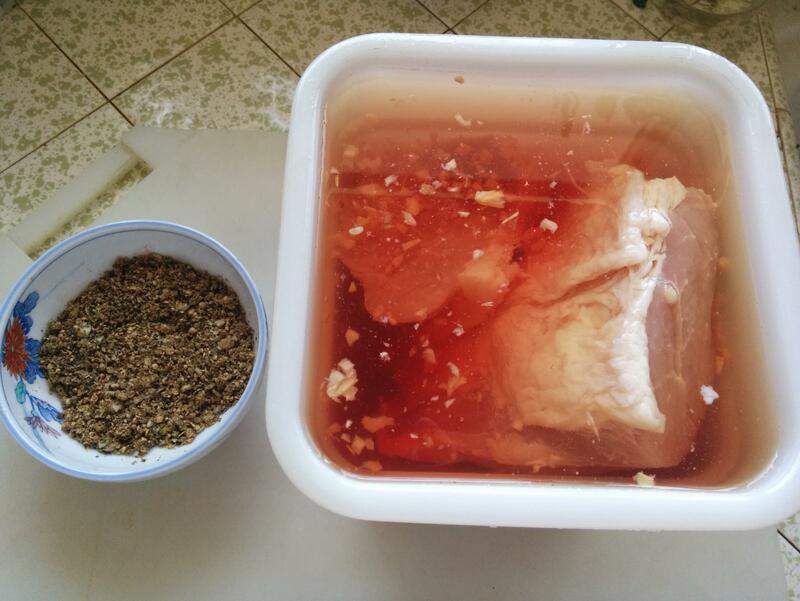 Remove the cured meat and toss the brine. Rub the spices all over the meat. Now everything is ready for the smoker. 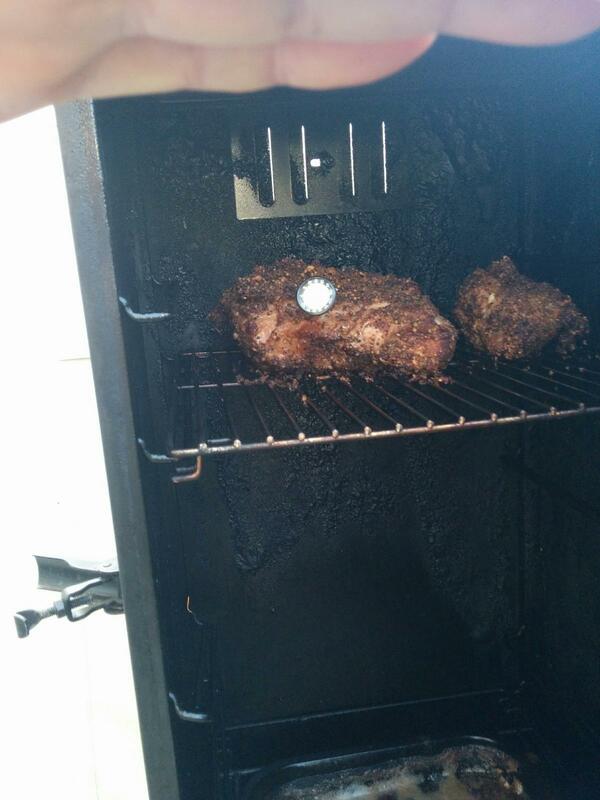 The smoker is nice and hot. 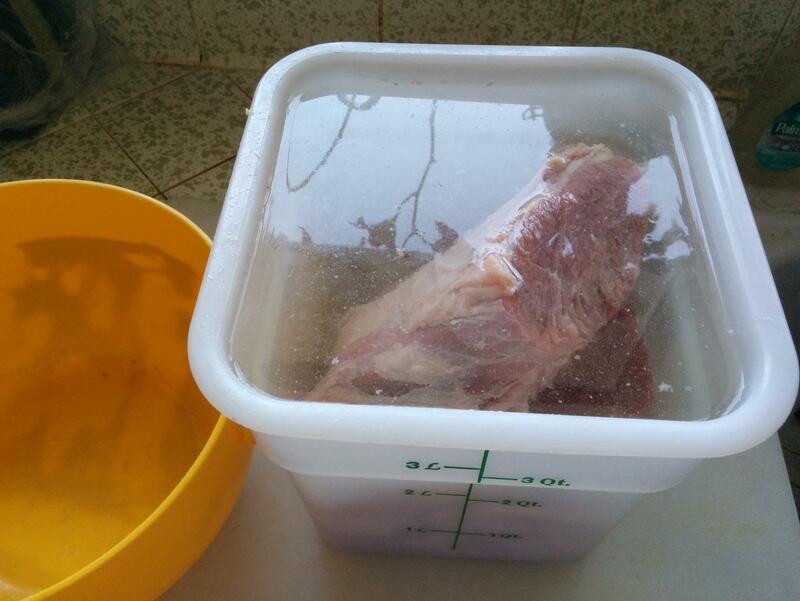 Time to fill the water tray and put in the meat. I start off with one packet of chips. Now I turn down the heat to the spot that should end up at 220F. The smoker is closed up and heating up. 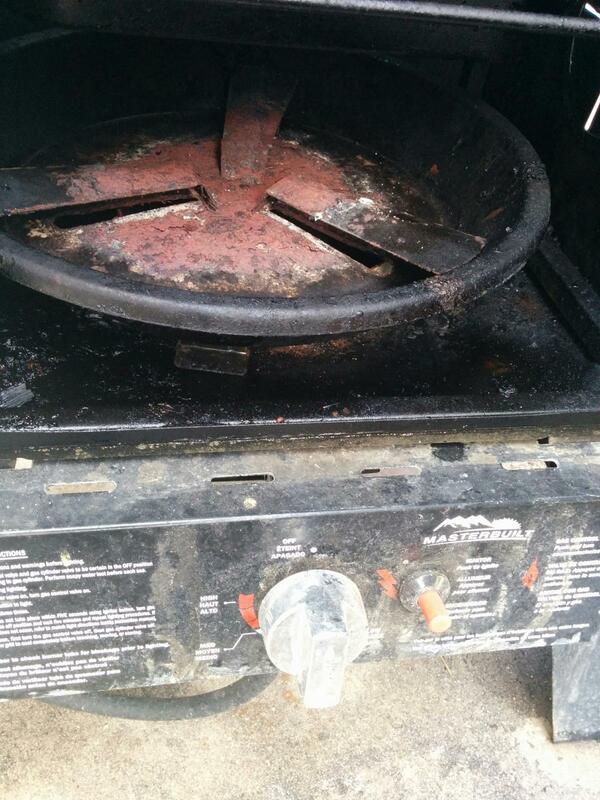 I run my smoker with the exhaust vent almost closed. 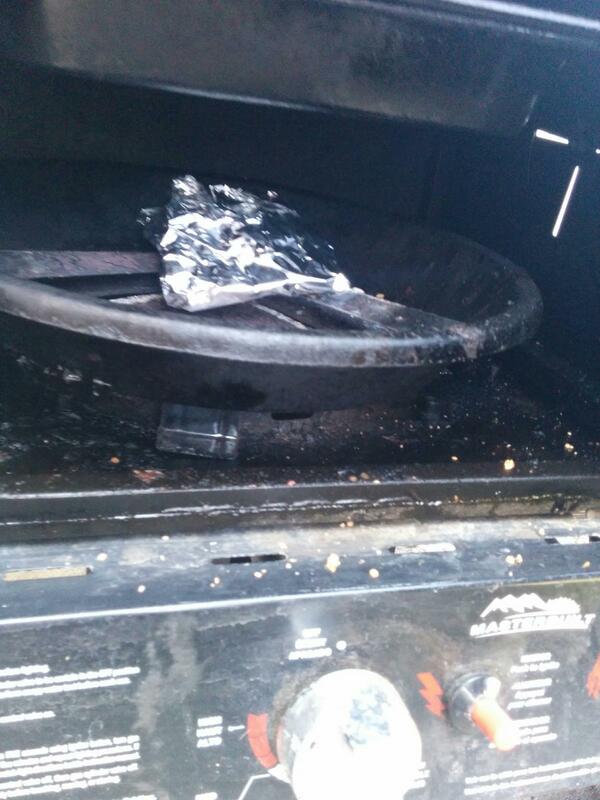 I want to keep the humidity at maximum so the meat does not dry out. Soon the temp is getting close. The wood is smoking in about 3o minutes. 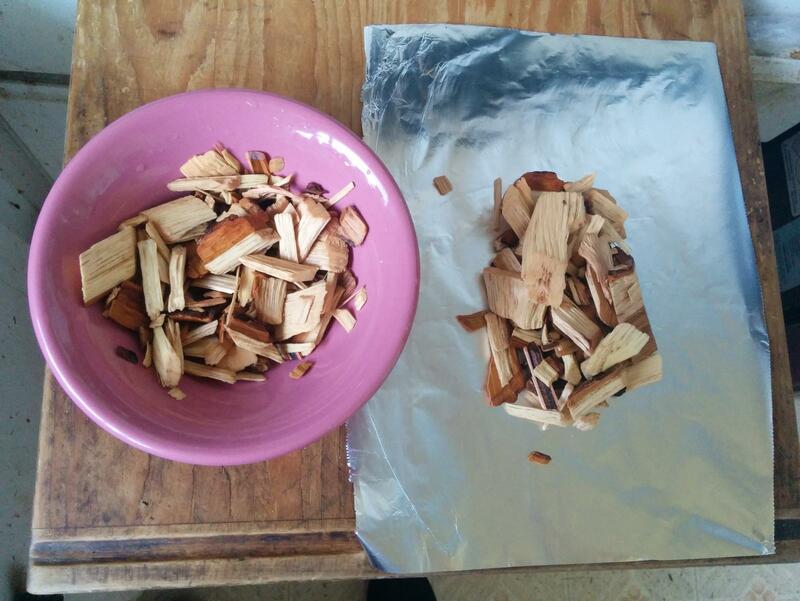 After an hour I add the second packet of wood chips. 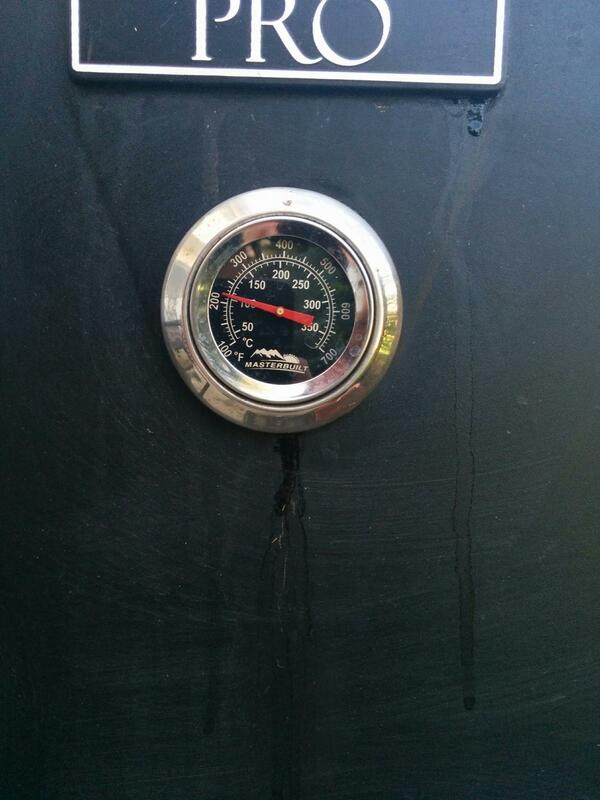 By this time the temp is correct. It will be done in 2.5 hours. Edited by Dipole, 29 September 2018 - 06:52 PM. 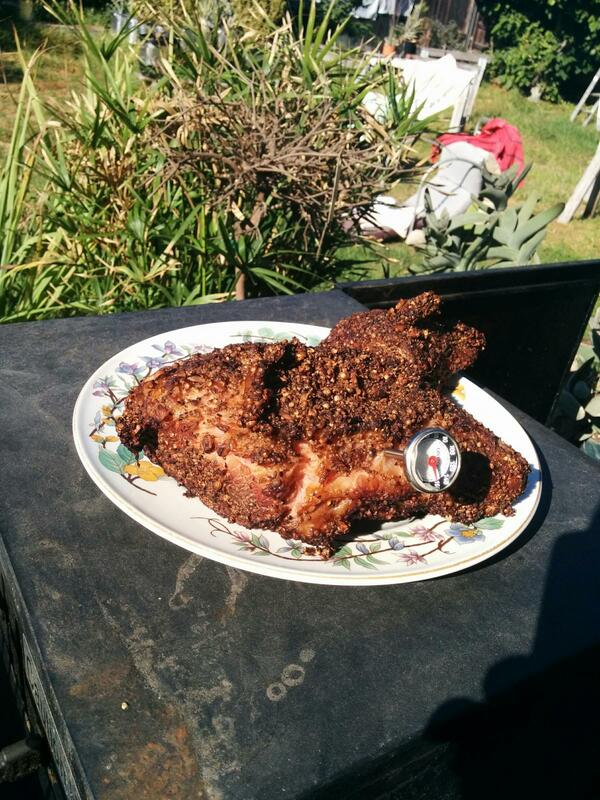 It took 3.5 hours to get the meat up to 165F. Looks nice under the sun. Apple smoke is really good too. 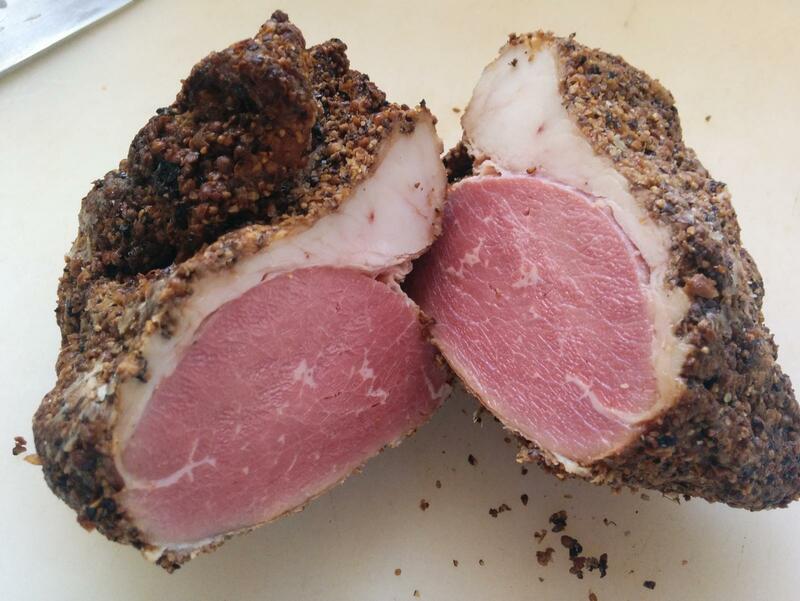 Here is what the small end looks like from a previous pastrami. Easy to do and no nitrosamines too. Sounds like a possible presidential campaign slogan. Edited by Dipole, 29 September 2018 - 06:47 PM. I hope Dipole wont mind but thought this would be a good place to talk about the pastrami that I am attempting to make. With St Patty's day at hand, I picked up a couple of the packed in brine corned beef on sale. I am going to try take advantage of the meat already being brined, and finish it up in the smoker after I spice it how I want. I'm trying a small chunk of what the package called point, but what I would call flat. It weighs in at just barely over 3 pounds. 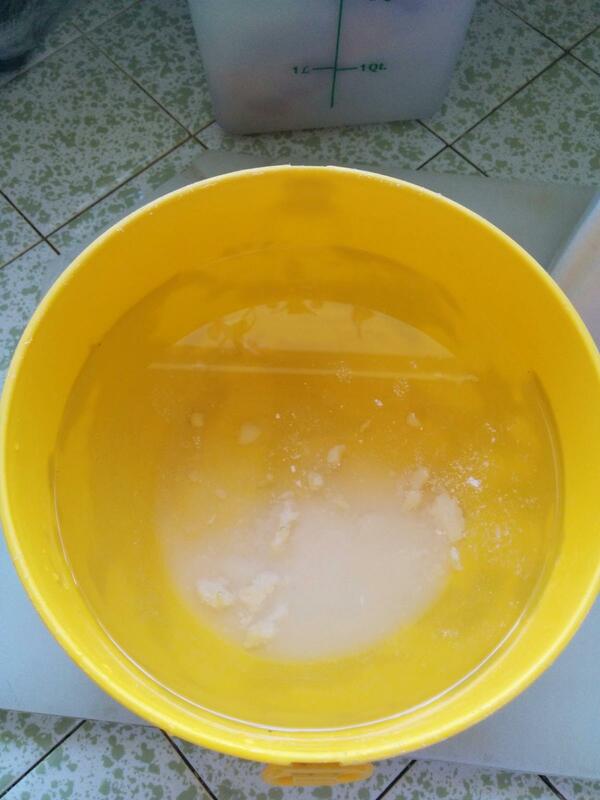 I soaked it overnight in freshwater, changing the water about 3 times, to help draw some of the salt out. I then gave it a light coating of cheap yellow mustard. It will help the rub to stay on, helps keep moisture in the meat, and contributes a lot to making a nice bark on the outside of the pastrami. I promise, it doesn't taste like mustard when it is all done. 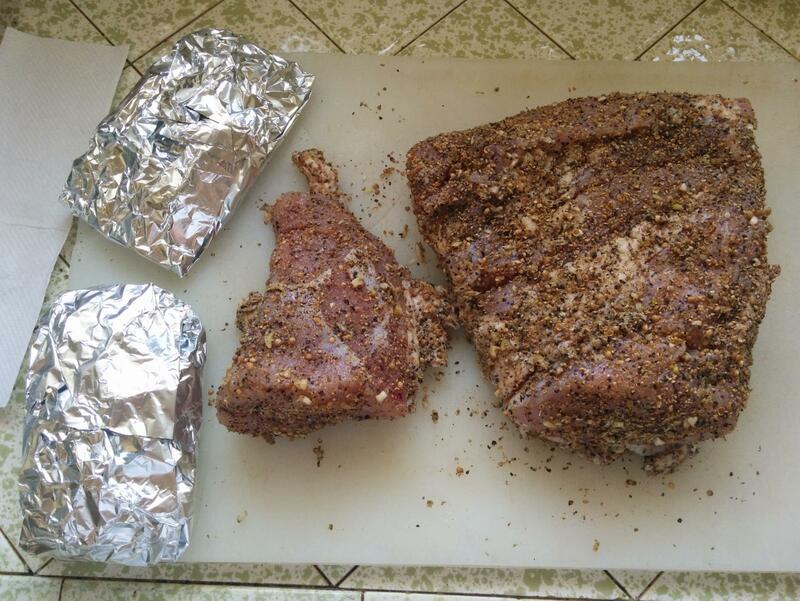 I then applied a liberal amount of rub on all sides of the meat. I did substitute a 1/4 TBL of ancho, and 1/4 TBL of chipotle powder for half of the paprika, but other then that I followed the recipe. Edited by Juthro, 14 March 2019 - 04:44 PM. I usually do larger batches and mix up a gallon of wet cure. Juthro, that is the exact place I got my pastrami recipe!! Turned out awesome. A little dry as I used an eye of round. Hard to get brisket here. I think the major difference between a pastrami and corned beef is the garlic. Thank you for posting your work and ideas. Nice job spicing up that corned beef. Your Saint Patties Day will much more delicious than usual. Thanks Dipole, it is appreciated. 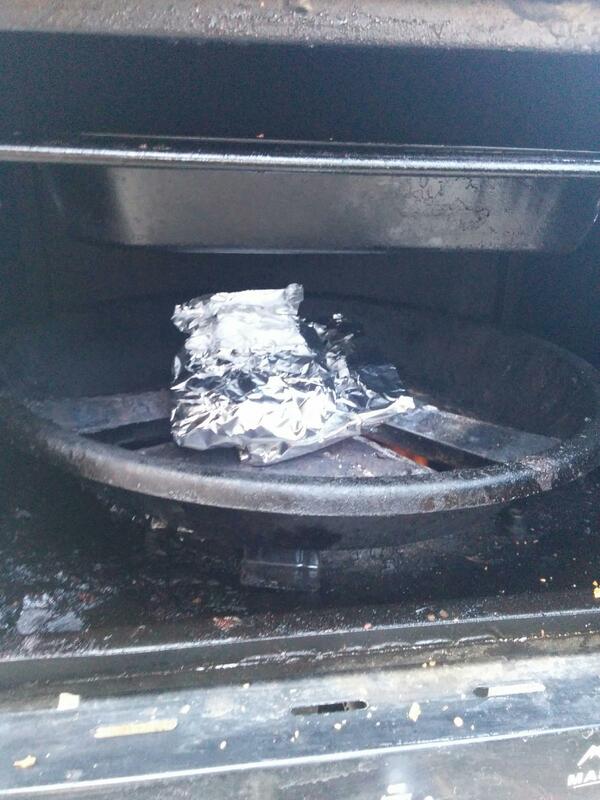 I just put the meat on the smoker about 10 min ago. I'm guessing it will be around 1 3/4 hrs cook time per pound. It's just a little bigger than 3 lbs so my guess is somewhere between 5 and 6 hrs. We'll see what happens. I'll try and remember to snap some pics once my battery has recharged. EDIT: added photo of my setup. Edited by Juthro, 16 March 2019 - 02:37 PM. What temp are you running? 200F will be a long ride. I compared the processing of both. Both are brined in salt and pink salt. Pastrami has garlic added to the brine. Garlic is also added to the coriander/black pepper coating. 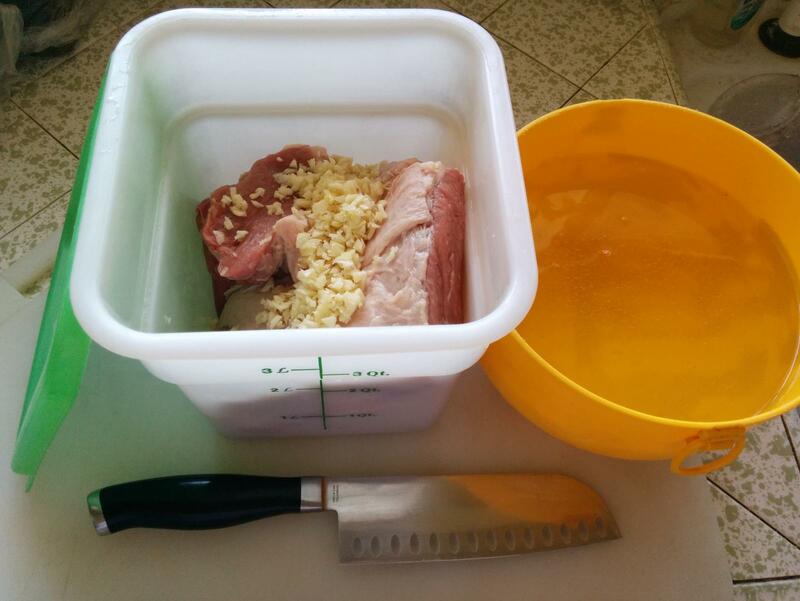 Put blended garlic in the water you soak the corned beef in. Dry off and coat with the Cor/BP/garlic mix. That being said, what you got going is going to taste great. I am actually not a lover of boiled corned beef. Cabbage or not. The stuff needs to be dressed up, ...alot. I just turned a corned beef into a bunch of hash. That is my favorite way to put one down. I should have posted. Crap. Edited by Dipole, 16 March 2019 - 05:40 PM. 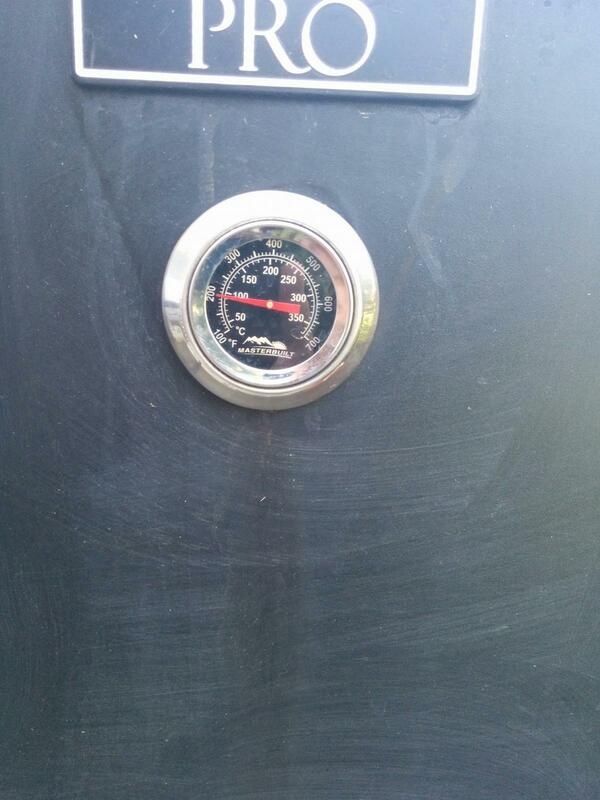 I'm running at 235* right now, my plan is to shut the smoke off when the meat reaches 160*, and then close the dampers down and turn the smoker up to 250* until it is finished cooking. (it stalled about 138* but is just starting to push past that now). 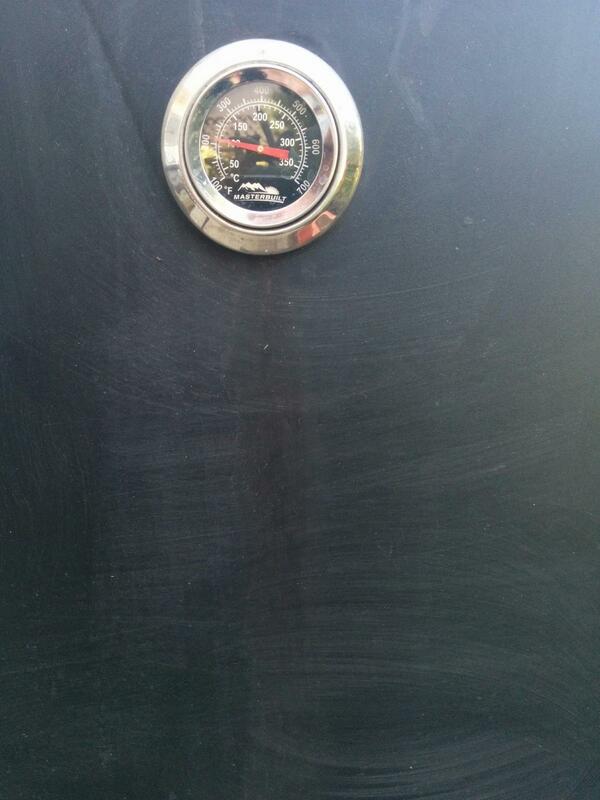 If I feel I need to I can kick the smoker up to 275 to finish it, but I'll wait to see how we are doing. 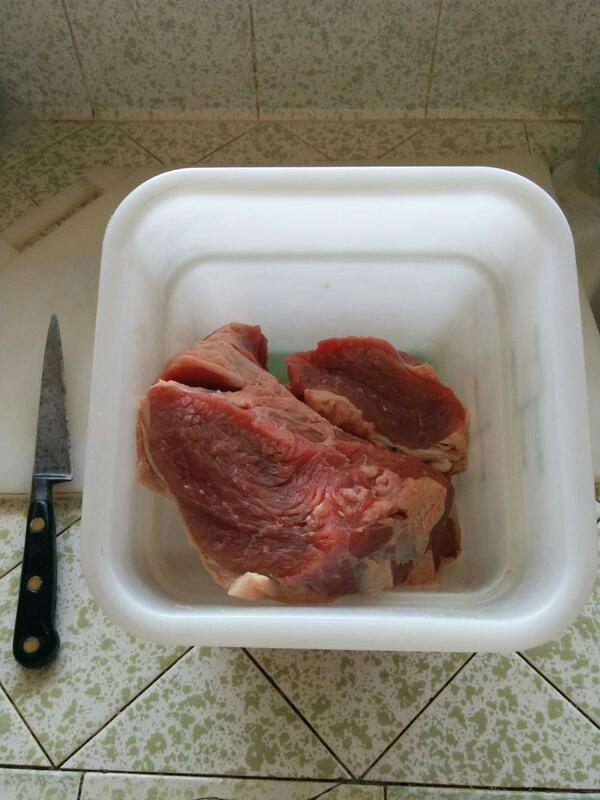 Once I the meat reaches 200* my plan is to foil it, and once cool, refrigerate it until tomorrow. Then its pastrami reuben sandwich time. Edited by Juthro, 16 March 2019 - 06:01 PM. Oh man that sounds good. I forgot about Reuben sandwiches. Do you think you need to bring the temp up to 200F? 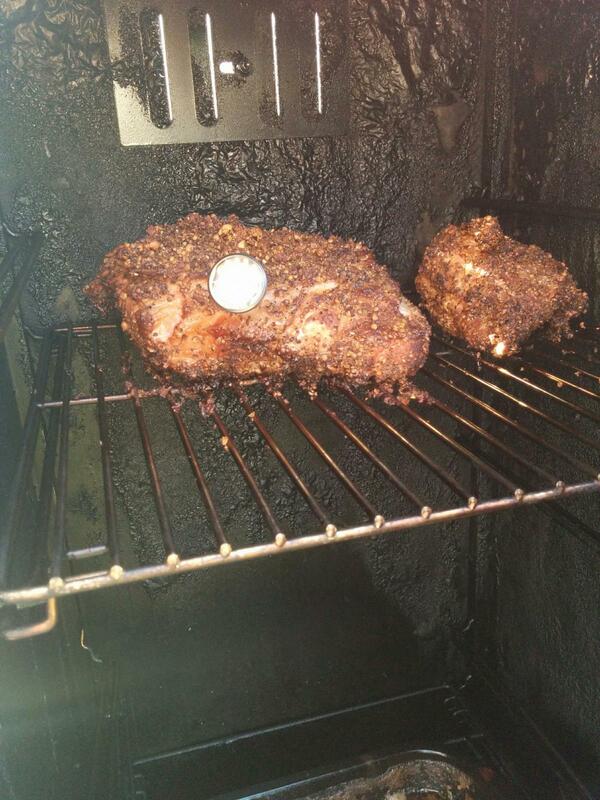 165F is the strike temp for a pastrami. Edited by Dipole, 16 March 2019 - 06:59 PM. I think I might foil it at 160*, but I will continue to take it up to 200* on this one and see what happens. 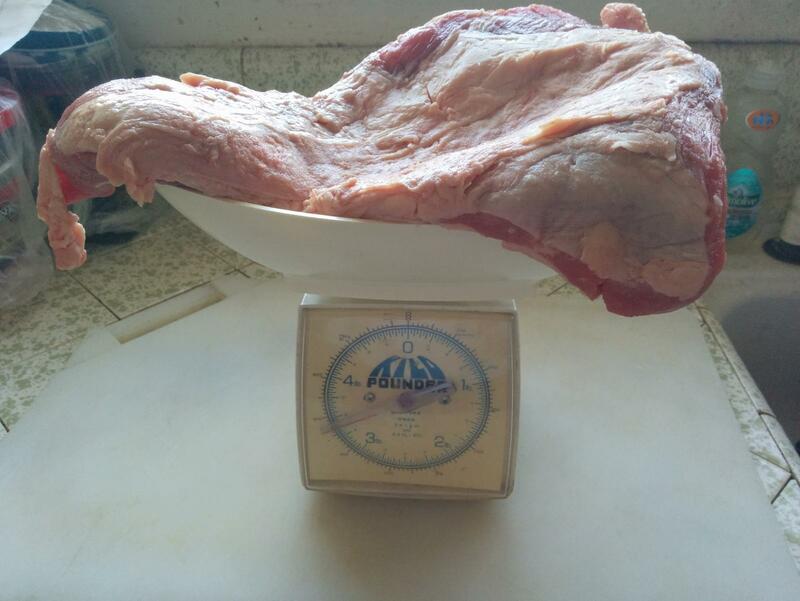 I'm afraid that the brisket cut won't have tenderized as much @ 165* as I would like. I may well decide to change that on the next one, but I'm willing to use this one as a control, and adjust from here. Edited by Juthro, 16 March 2019 - 07:27 PM.